Behind innovation, there are pioneers, dreamers, hard working passionate people ready to push the limits for the sake of making our place a better world. Those exceptional minds aren’t driven by greed or fear. Reporting and sharing their exploits is such a pleasure, delicate music to my hears. 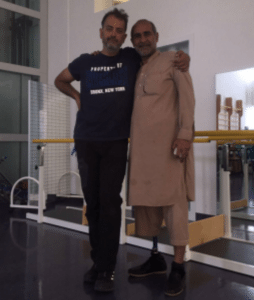 And as good news never come alone, with the help of the Trieste Refugees Association, Niazai managed to find a new home, a new place to live and smile again.